Omra wanted to express an innocent and playful feeling with her Spring/Summer collection – the inspiration comes from the Victorian outfits worn by her childhood china dolls. 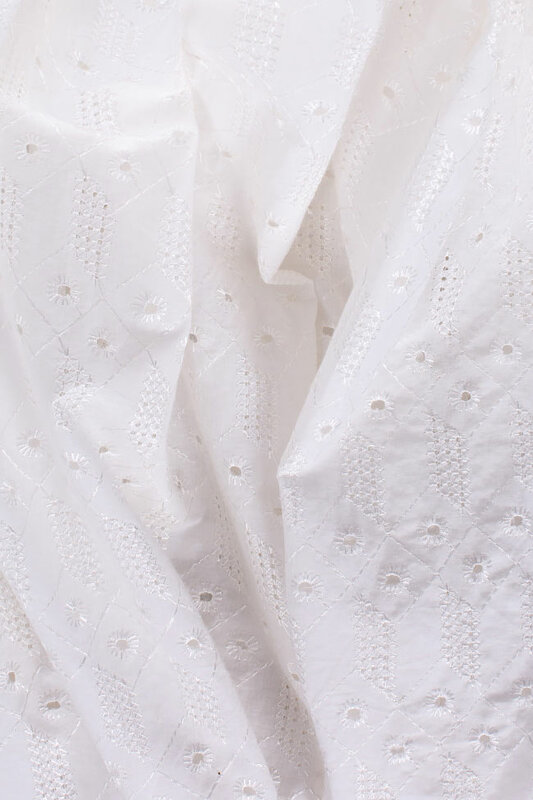 This 'Milano' dress is cut from swathes of broderie anglaise cotton, layered for volume at the yoke. Follow the catwalk styling and wear yours with metallic ballet flats.